In 2018, if you wanted to steer your DJI drone generally meant using your tablet or smartphone for a viewing screen. You finally have a much better choice in January 2019. The DJI Smart Controller using its very own super bright HD 5.5-inch display. 1.0.1 Which DJI Drones is the Smart Controller compatible with? 1.0.4 What size MicroSD card can you use? 1.0.5 How about the battery? 1.0.6 How far can you fly out without losing signal? 1.0.7 Can you stream your footage to your social media? 1.0.8 What Program is the Smart Controller Running on? 1.0.10 So, Should I buy the Crystal-Sky Monitor or the DJI Smart Controller? 1.0.11 Where to Find Carrying Case Compatible with DJI Smart Controller? The DJI controller comes with an ultralight, HD touch display built into the remote control, replacing the need for your smartphone when flying your Mavic 2 Pro and other compatible drones. Which DJI Drones is the Smart Controller compatible with? This latest upgrade from DJI is a redesign to the remote control to work with the Mavic 2 Pro, Mavic 2 Zoom, Mavic 2 Enterprise, and other upcoming DJI drones conducting OcuSync 2.0. The Phantom 4 Pro V2.0 only uses the original OcuSync making it not compatible with this new device. This screen is not new to DJI this is the same bright HD screen as the Crystal Sky Monitor. The DJI smart remote controller includes a 5.5-inch ultra vivid touch screen which replaces the requirement to use a smartphone running the DJI GO 4 app. This was made to maintain the best picture quality and reduce interference. The screen itself boasts a 1000 cd/m2 brightness, which is roughly two times as bright as regular smartphone displays. This is great for setting the desired exposure, white balance and flying in bright sunshine, where sunlight shades would have been utilized. The operation temperature range also has had an increase, ranging from -4° F to 104° F (-20° C TO 40° C), which expands the endurance of the setup more. Taking away the smartphone element of the control is intended to significantly improve the setup and operation time of the drone and control. DJI asserts the setup time together with the Smart Controller to be 30 seconds, compared to a couple of seconds when using a smartphone. The Smart Controller can run continuously for up to 2.5 hours, again over using a smartphone which could run out of juice when flying (it occurred to me once, and it was rather frightening). What size MicroSD card can you use? Wifi is required to transfer and share files in the smart controller to a smartphone using the new Go Share purpose. A micro SD card interface is built into the controller to expand the 16GB onboard memory and supports microSD UHS-I Rate Grade 3 cards up to 128GB. 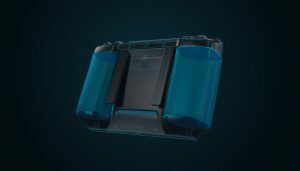 Here is the catch: all that radio technician and display crammed into a little bundle call for a significant battery — using a 5,000mAh capability — but DJI claims that the Smart controller lasts 2.5 hours on a complete charge, and it’ll require 2 hours to recharge the non-removable battery. How far can you fly out without losing signal? The DJI Smart Controller comes with a built-in battery, microphone, and speaker for expanded options such as live streaming. The Smart Remote Controller supports for Bluetooth 4.2, Wi-Fi, and DJI’s own OcuSync 2.0 video transmission technology, which automatically switches between frequencies to avoid interference and maintain contact with your drone around 8 km (4.97 miles) away. Can you stream your footage to your social media? Easily transfer your aerial pictures and videos in the Smart Controller to your mobile device using the DJI GO 4 program’s new Go Share function. The Controller is capable of live streaming to social media platforms, with a built-in microphone, in addition to video playback via the HDMI port up to 4K 60p to external monitors. This is a fascinating feature for allowing other team members such as DoP’s or supervisors to see the video downlink and affect the makeup and type of aerial shots. What Program is the Smart Controller Running on? The control will run the Android program and is going to have an optimized variant DJI GO 4 set up using this larger screen real-estate. Some third-party apps for sharing and editing aerial videos and photos are also installed. The Smart Remote Controller connects to a drone when it is powered on so that you can take off quickly and never miss a minute of the action. Featuring an integrated design with detachable controller sticks, the DJI Smart Controller is also portable enough to bring with you anywhere. So, Should I buy the Crystal-Sky Monitor or the DJI Smart Controller? The new Smart Controller is the same screen that DJI introduce in 2016 as the Crystal-Sky Monitor. It is only integrated with a remote for easy access. The Crystal-Sky Monitor is compatible with the DJI Spark, Mavic Air, Mavic Pro Platinum, Phantom 4 Pro V2.0 and the DJI Mavic 2. And now for the smart controller is only compatible with the DJI Mavic 2 Enterprise, Mavic 2 Pro, and Zoom. Where to Find Carrying Case Compatible with DJI Smart Controller? 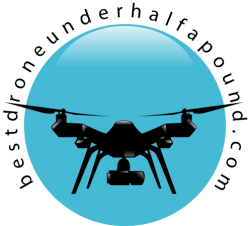 F Gear is recognized for the design and development of the most innovative and extremely effective drone accessory. You can now save your Smart Controller, Mavic 2 Pro or Mavic 2 Zoom Drone along with the remote in a protected and safe convenient manner. F Gear’s case consists of three layers of innovative EVA material that constitute the storage compartments. This makes it incredibly durable and offers optimal protection for the saved drone. Additionally, the high quality, authentic carbon fiber or nylon material makes the DJI Smart Controller Case even safer and more stylish. The situation for the Smart Controller, DJI Mavic 2 is equipped with a waterproof zipper, making it even more protective and attractive. In addition to the unbelievable protection, the F Gear Case provides for DJI Mavic 2, it is also extremely lightweight. This will let you wear your DJI Mavic 2 Pro or DJI Mavic 2 Zoom drones longer without tiring. We present a solution that protects your expensive drone flawlessly. Having a Neck Strap for DJI Smart Controller is also a plus. Compatible with drones with DJI OcuSync 2.0 (Mavic 2 Pro, Mavic 2 Zoom, Mavic 2 Enterprise). Controller operates on the custom made Android program with DJI GO 4 and third-party applications. Automobile shifting transmission frequencies between 2.4 GHz and 5.8 GHz. Fast charging 5000mAh battery capable of 2.5 hours constant use. Operation temperature range from -4 degrees Fahrenheit to 104 degrees Fahrenheit (-20° C to 40° C). MicroSD card interface for expandable memory. 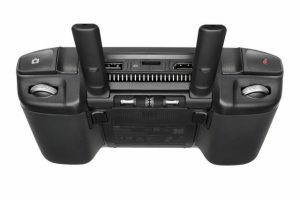 The DJI Mavic 2 Smart Remote Controller is available now in January 2019 for the amount of $649.00. Other combination packages are also available if needed. This Controller also works with the DJI Mavice 2 Enterprise and all future drones with DJI OcuSync 2.0. But does the extra price tag replace using a smartphone and a sunscreen all together? In conclusion of this review. On paper, DJI’s New Smart Controller seems like a helpful accessory for both skilled and amateur drone pilots that want to have more precise controls than they could get by merely using their cellphone’s touchscreen. We all usually have our phone in our pockets. Only if you are doing business and have to talk while flying your drone. The greater brightness and screen resolution is a plus than ordinary smartphone or tablets. The Controller expands the ecosystem of accessories constructed around DJI’s industry-leading drone technologies. 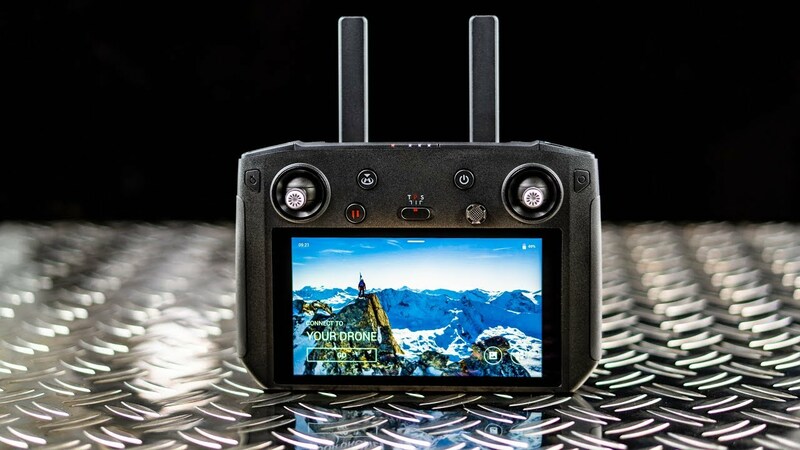 With a crisp 5.5″ screen built into the controller itself, the Smart Controller allows pilots to quickly obtain their drone in the air without needing to connect a mobile device. It may be paired with DJI’s latest drones such as Mavic 2 Zoom and Mavic 2 Pro that use DJI’s OcuSync 2.0 video transmission system, displaying vibrant pictures in Full HD resolution. Drone pilots can make the most of its compact, highly mobile design that’s been optimized to be used in direct sunlight. Would you invest in the DJI Remote Controller for a brighter display and extended functionality? Tell us why wouldn’t you spend $649.00 for the control? Let us know in the comments below. The Smart Controller by DJI is available now. It’s priced at $649 by itself. DJI plans on offering the remote in packages with a Mavic 2 Zoom and Mavic 2 Pro, but pricing and contents haven’t yet been established.